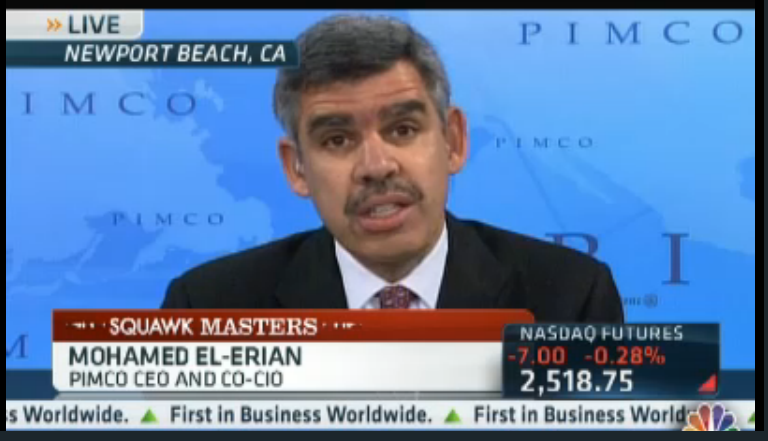 PIMCO’s Mohamed El-Erian says it’s “too early to declare victory”, despite the strong recent jobs numbers. El-Erian does tell CNBC that the numbers are very encouraging, but adds that it is critical that “nothing be done to interrupt this wonderful cyclical bounce”, so that the cyclical bounce becomes a secular bounce. El-Erian also says he thinks the activeness of central banks makes it unlikely that the European debt crisis will lead to a market-halting Lehman Brothers-type moment, but also says that global economies are not as well positioned to handle a shock as they were in 2008. He recommends investors exercise prudence, patience, and optionality, and for now be underweight stocks, own gold and oil, and concentrate bond exposures seven years and within. Index Battle: S&P 500 vs … S&P 500?